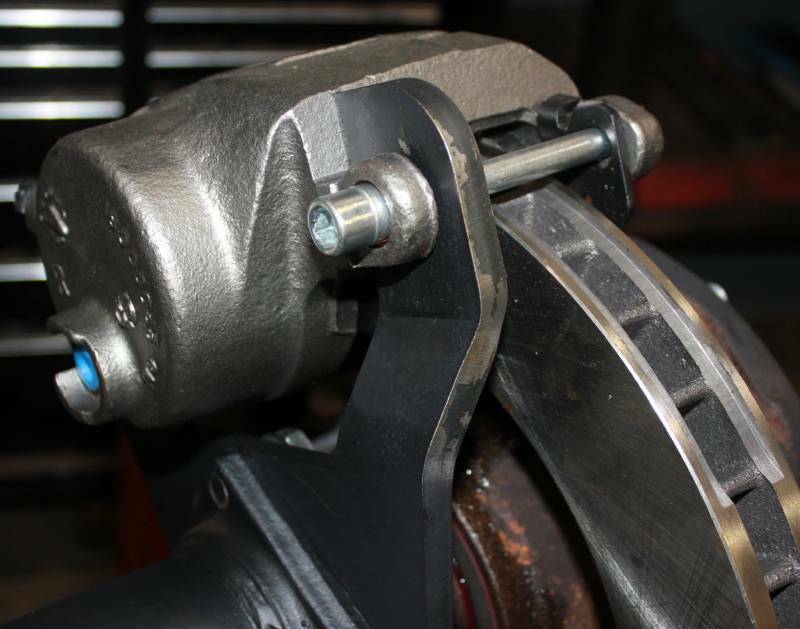 This is a complete bolt on kit to upgrade your drum brakes on your 14 Bolt to disc brakes. Please see instructions below for installation. This kit does not offer any provision for e-brakes or factory e-brake cables!! Shipping: This item is shipped USPS. For any other shipping methods please call!! 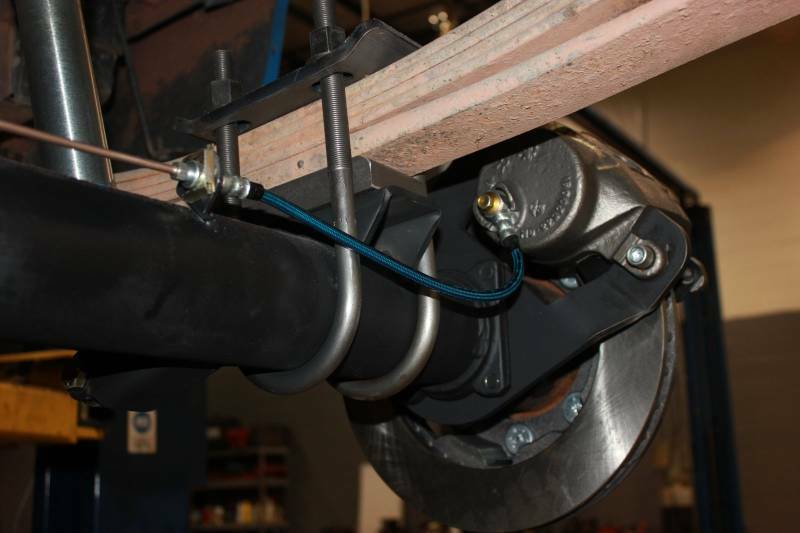 Hard brake lines only come flared on one side to accommodate for different vehicles and brake line set ups. Some grinding may be required on caliper based on how brake lines are run. 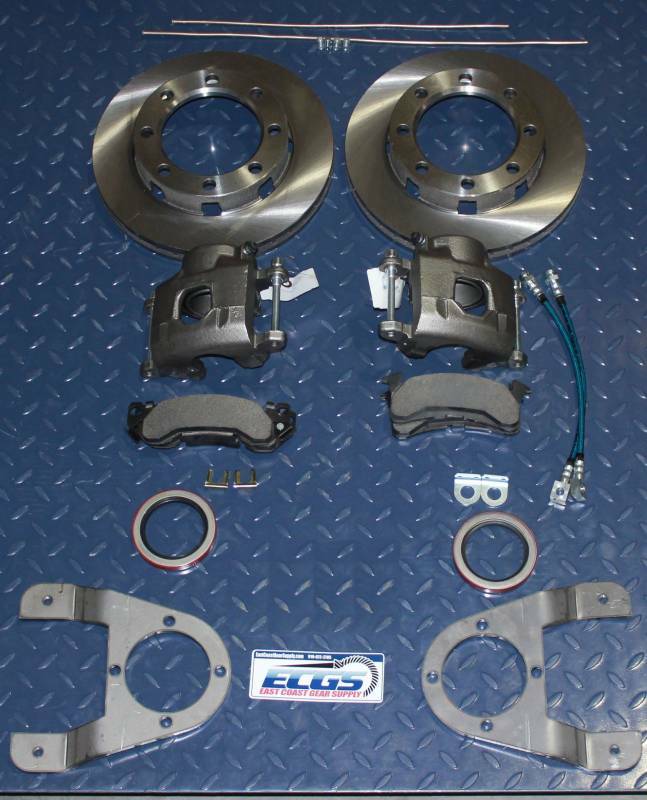 THIS KIT WILL ONLY WORK ON SINGLE REAR WHEEL APPLICATIONS!! DOES NOT WORK ON 1989 AND NEWER AXLES! 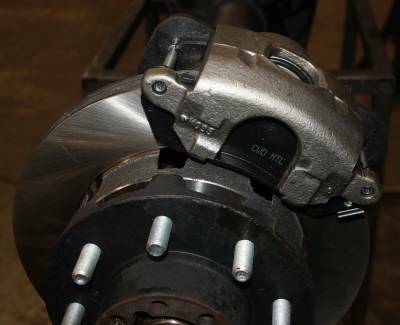 1989 and newer hubs are not machined correctly to accept a rotor. Unfortunately we do not carry a kit for 1989 and newer axles. Shipping Remarks: This item is shipped USPS. For any other shipping methods please call! !